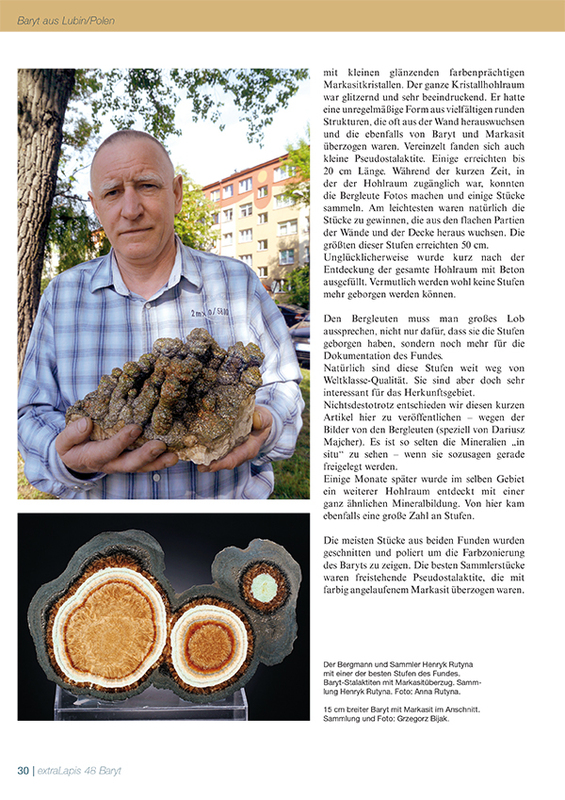 Cover of Barite extraLapis, no 48 with 2 ours barite articles. 2015. T. Praszkier. 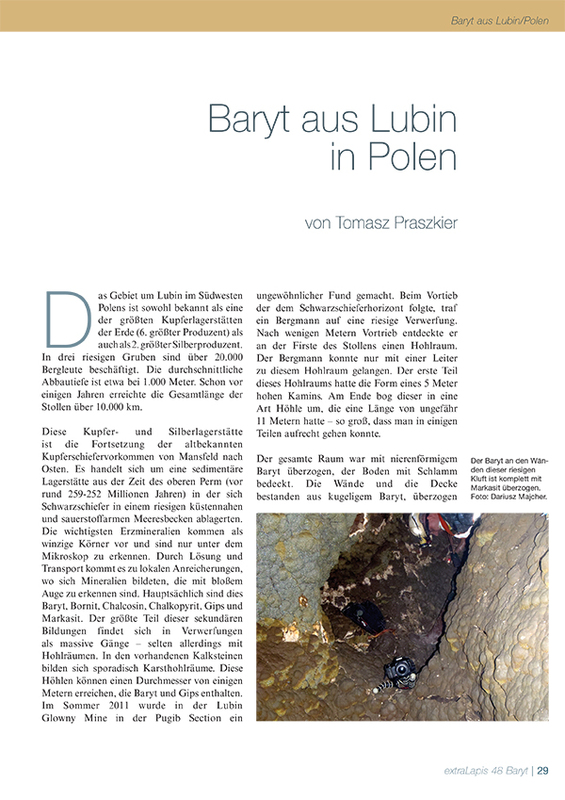 Baryt aus Lubin in Polen. 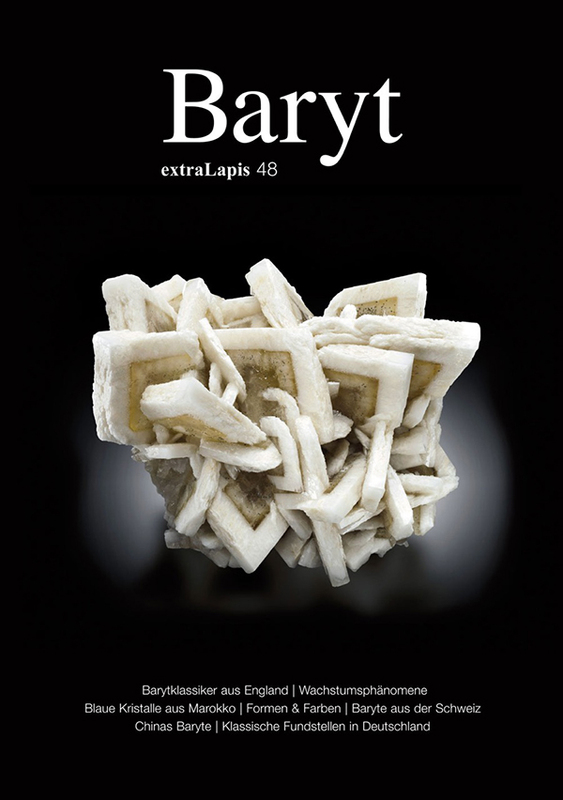 extraLapis: Baryte, no 48, pages 29-31. 2015. T. Praszkier. 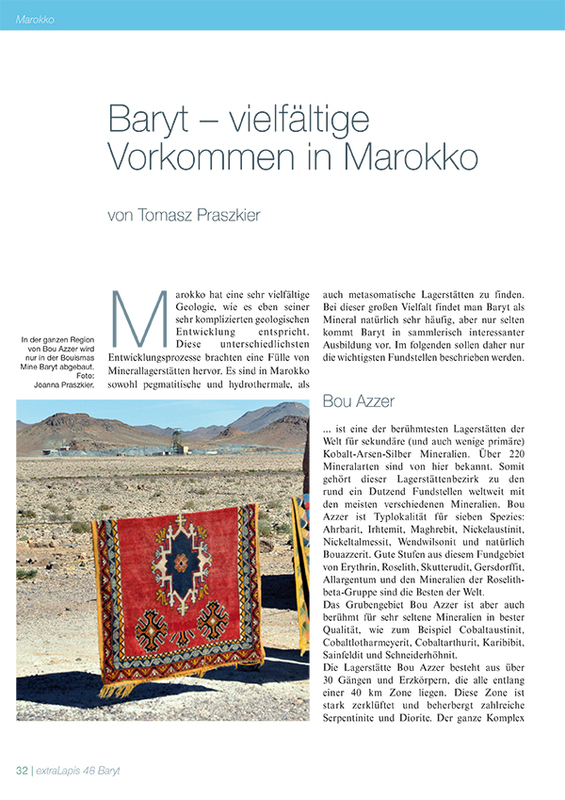 Baryt - vielfaltige Vorkommen in Marokko. 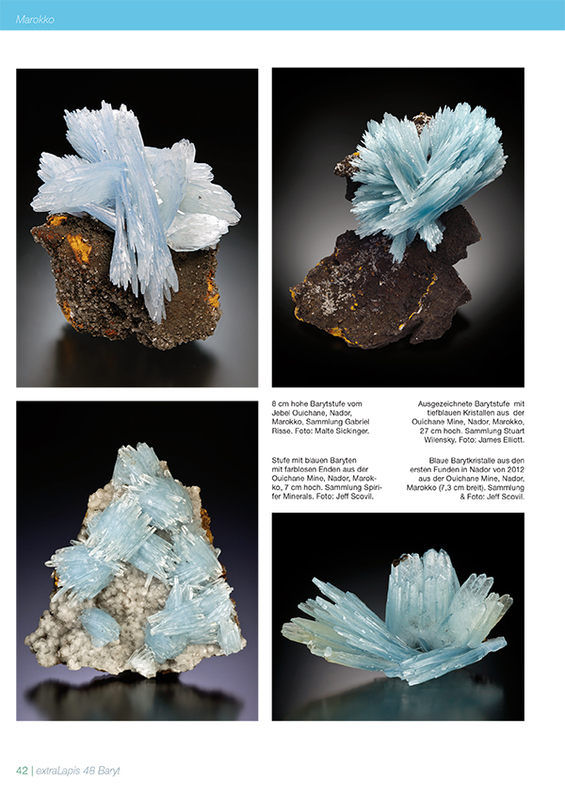 extraLapis: Baryte, no 48, pages 32-43.